Learn the nuts and bolts of setting up a mission-driven business model. Gain insights into collaborative governance structures. Better understand the physical elements that make a shared work environment thrive. Be inspired to cultivate and care for your shared space community. A firm grasp on the nuts and bolts required to develop and operate a nonprofit shared space. A detailed project road map. A network of support within the shared space community. A toolbox, and actionable items, to ignite connection and engagement at your shared space. Participants will get a sense of the breadth of the field of shared spaces and learn about models available across the US and Canada. Key takeaways include a definition of shared space, what centers look like, how they impact their tenants, and where the field is headed. In the mission and vision segment, participants will learn the importance of clarity of mission and vision to the planning process. You’ll also analyze some mission statements from existing centers to employ the principles you will learn. Do I really need to do a needs assessment? Yes! In the needs assessment segment, participants will learn the components of a needs assessment and how it will set you up for continued success with your shared space project. Without a needs assessment, you might create a space that is too big and you will struggle to fill or you might take on too small of a space and have to turn people away. A needs assessment also shows potential funders and other partners that you mean business. Shared space is different from traditional real estate, and not many brokers specialize in serving the nonprofit community. This component of Boot Camp will tell you what you need to know before you talk to a broker, and how to assemble a team of experts. Additionally, you will learn tips for selecting the right site, and whether or not you should buy or lease a building. Once you know how much space you need, where does the money come from? NCN will walk you through the many sources of capital funding, ranging from capital fundraising campaigns to taking on debt. In this section, participants will take a deep dive into how to maximize the revenues of operating a shared space with a mission driven business model. Over 70% of nonprofit centers are sustainable social enterprises, and this session will help you understand the many ways shared spaces can make money, including event rentals, coworking, and other more creative ideas. Half Hour Break Grab a Bite! Take a Walk! Partnerships are what make shared space so special. We will discuss what makes a good partner, try to map our networks, and discuss a variety of tools you can use to catalyze collaboration in your space. Who decides who decides? In a traditional setting, the hierarchy of governance and decision-making is fairly straight-forward. The more organizations and features of your space that you begin to bring into the mix, the more complicated things get. 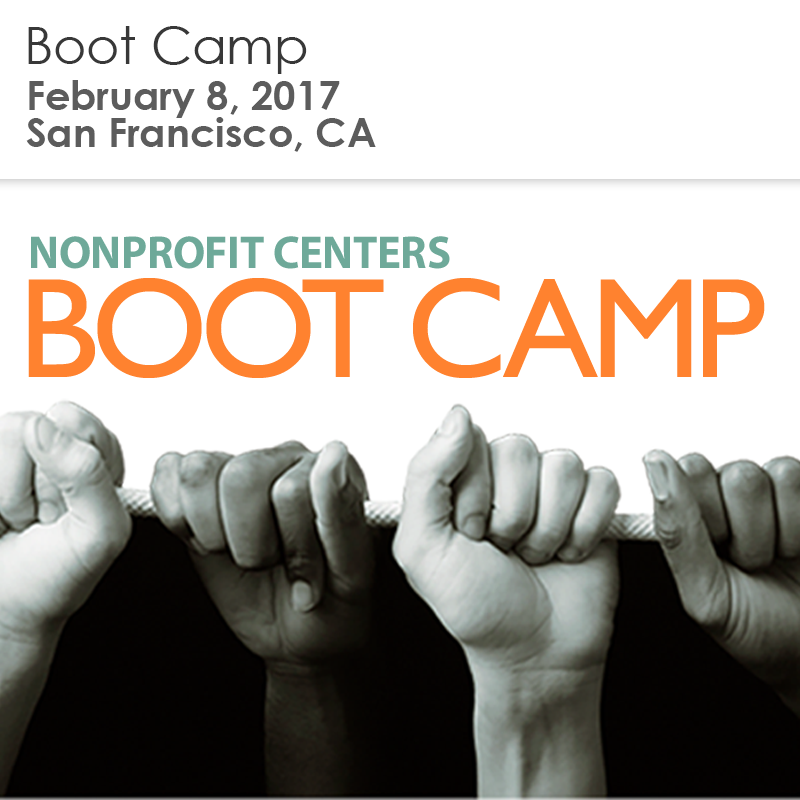 See examples of how existing nonprofit centers have structured their process. We know shared space can be a challenging concept to explain. During this section, we’ll discuss different ways that nonprofit centers have explained their model, and give you tips for refining your project pitch. At the end of the day, we’ll discuss how you can apply the information we’ve learned, reviewing the road maps that were created throughout this session, and answering any lingering questions.